Photographer: Gaylord Villers, Sr. (1913-2010) or Gaylord Villers, Jr. The item consists of a colour slide taken in July 1957 by either Gaylord Villers, Sr. or Gaylord Villers, Jr. The photograph is of Joe Prokopchuk, better known as Yukon Joe, standing next to the Villers' family car. 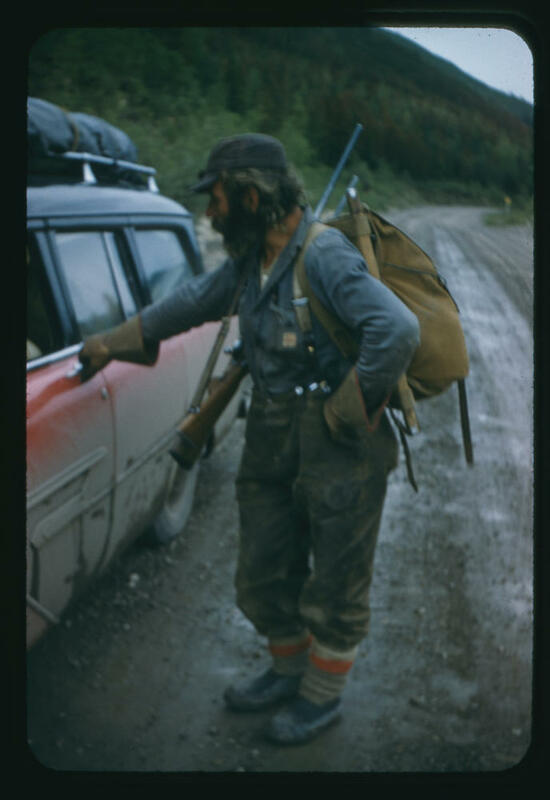 The photograph was taken during a family holiday on the Alaska Highway, where the family encountered Yukon Joe and asked to take his photograph.